Day 01: Arrive Guwahati airport. Transfer to hotel. Day 02: In the morning visit of famous Kamkhaya Temple. Later drive to Kaziranga Wildlife Sanctuary. Overnight at hotel. Day 03: Early morning elephant safari. After breakfast a jeep safari to watch the great Indian one-horned rhinoceros and wild fowl. Overnight at hotel. Day 04: After breakfast drive to Itanagar, the capital of Arunachal Pradesh. Visit Itanagar museum, market and tribal Nyishi village. Overnight at hotel. Day 05: Next morning drive to Ziro in Arunachal Pradesh. 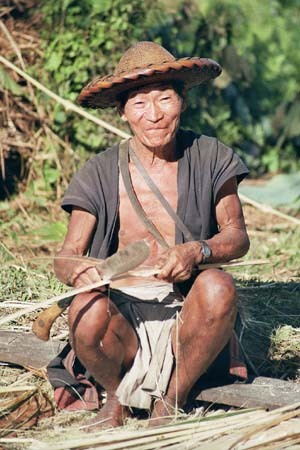 Ziro is located on the Apatani Plateau (1500 m). Visit museum and emporium in Ziro. Overnight at hotel. 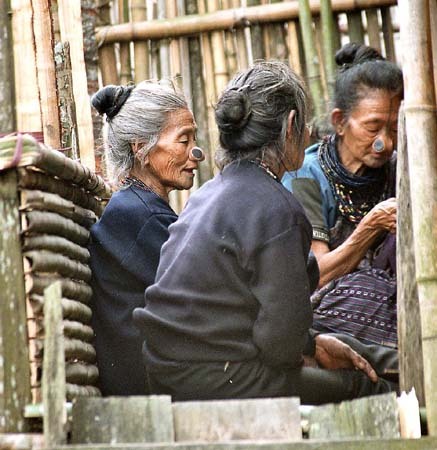 Day 06: Today you will learn to know more about the unique Apatani culture that is different from all the other tribes in Arunachal or elsewhere. When walking through the streets of Hong, Hija, Bula, Hari or Duta you will see the rows of terraced houses and entering the houses as a welcome guest you will learn to know the people. Especially the face tattoos and the big nose plugs of the women will immediately catch your eye. Overnight at hotel in Ziro. Day 07: Drive from Ziro to Daporijo. On the way we will make stops to visit some Hill Miri villages. For some villages we will have to cross old bamboo suspension bridges. Overnight in Daporijo or Daporizo. Day 08: A day at the Tagin tribal villages Taliha, Mara and Menga. We will meet families and see their lifestyle. Further you will get to know Tagin priests and their unique dress. Overnight in Daporijo or Daporizo. Day 09: In the morning visit local market in Daporijo. Later drive to Along. On the way we will visit several interesting Gallong villages. Overnight in Along. 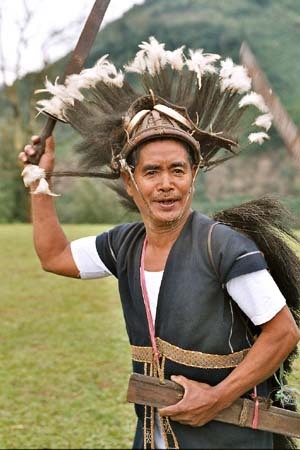 Day 10: Drive to Yeksi village to see Minyong warriors dancing the Taapu dance (tribal war dance). Experience crossing over one of the longest cane bridges across the Siang River. Drive to Pasighat. Overnight hotel. Day 11: Visit Adi tribal villages. Explore lifestyles of the Adi. Learn to know special Igu dance of Adi priest. Overnight at hotel in Pasighat. Day 13: Cross the mighty Brahmaputra by ferry to reach the road to Dibrugarh in Assam. Here our interesting tour will end. Overnight at hotel. 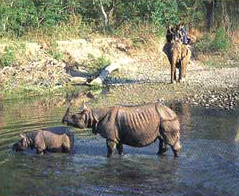 · Local tour, wildlife safari and park fee as per itinerary. · At Kaziranga National Park, camera fee as fixed by the authorities.